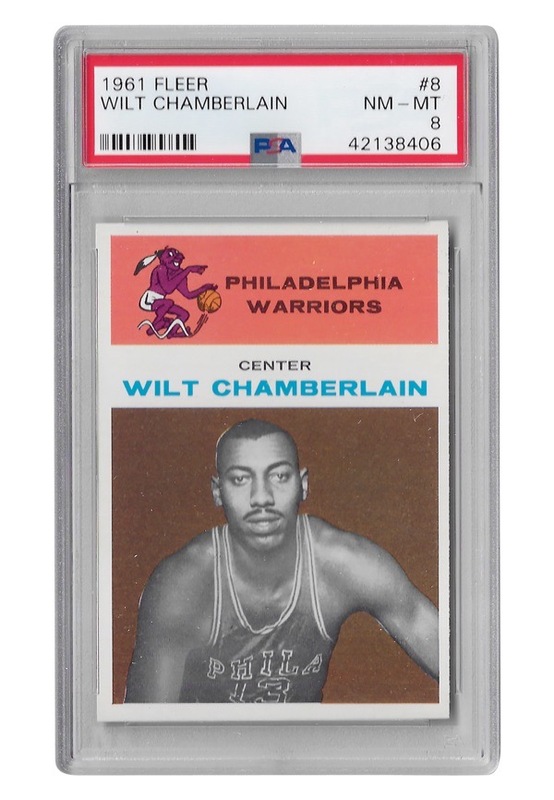 Offered is Wilt Chamberlain’s Rookie card from one of the most sought after card sets, the 1961 Fleers. 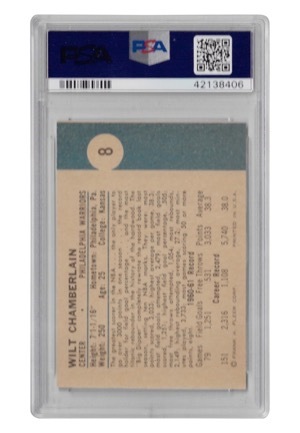 The card has been professionally graded and encapsulated by PSA grading a NM-MT 8. A perfect example of a Rookie card from one of the most dominating players in NBA history.